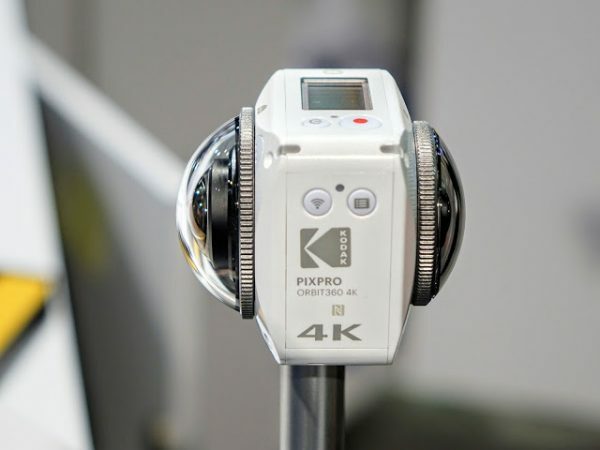 The Kodak PIXPRO Orbit360 (aka 4KVR360) is a 4K 360 camera with a unique asymmetric lens design. It was one of the highly anticipated 360 cameras in 2017 but its release has been delayed outside Japan. In the meantime, the user manual and the desktop stitching software are now available for download here. You can also download the desktop software for Windows PC and Mac. Here is the user manual for the desktop software. Meanwhile, the Android and iOS apps have been available for download since May. 1. You can use the desktop app to control the Orbit360 via Wi-Fi (for control, download or playback) or USB (playback only). 2. There is a horizon leveling function. But it seems to be automatic as opposed to allowing you to change pitch, yaw and roll manually. 3. The software can combine two or more videos into a montage with the Join Video function. 4. The software can merge photos into a video. This could be used to create a time lapse video. 5. The raw mode previously mentioned in the specs seems to mean only an unstitched photo. Not camera raw. In any case, the current specs don’t seem to mention it anymore. 6. The 360-degree 120fps mode has been decreased to 1280 x 640 (previous specs said 1440 x 720). 7. EIS (electronic image stabilization) is not available for 360 videos. I don’t have any new info on the release date of the Orbit360 outside Japan. In the meantime, a user tested the Orbit360 against the Xiaomi but it seems the Xiaomi was not at full resolution.